If you are looking for the best wired or wireless backup camera for RV traveling, then you have come to the right place. 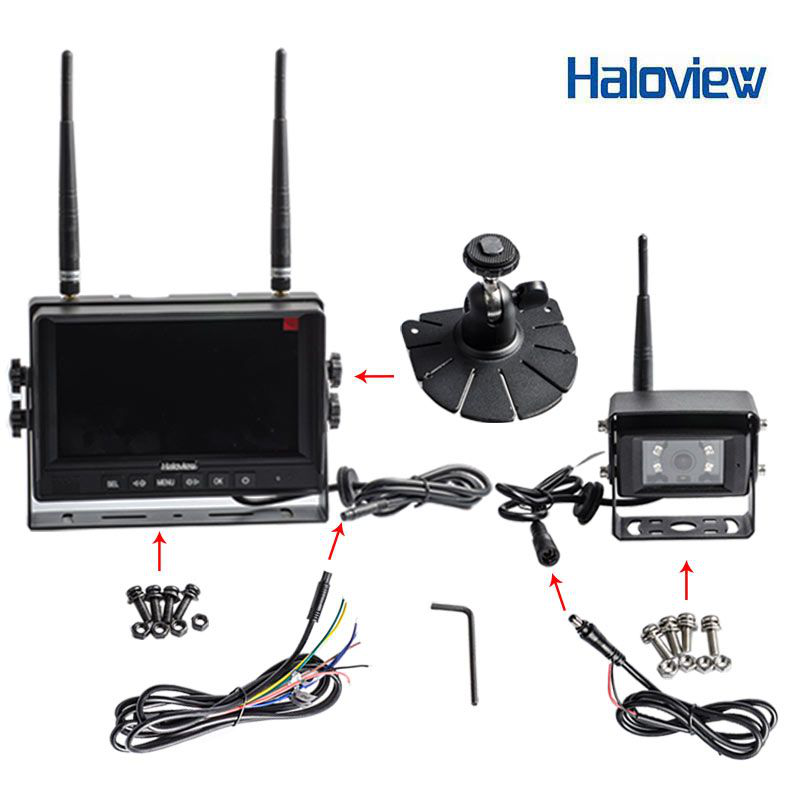 Haloview is a leading company in backup cameras, and they have produced a two camera wired rear vision camera, which is a top product. We recommend this wired product for Rv’s, but if you really need a wireless unit then check out the Haloview MC7101-3 7" digital wireless backup camera，Wired or wireless backup camera for RV? One customer actually gives this product and the company Haloview a massive ten stars out of five. That’s right…ten stars out of five. That is the best review I have ever seen on Amazon.com. Why such a great review? The product is durable and the customer service was fantastic. I wouldn’t blame you if you are thinking this can’t be true, so here is the link to prove it! While you are there look at what other folks have said about the camera. 4. Built-in recorder. Real time recording, video playback. 5 .Built-in mic and speaker for audio. Auto dim function available. 10. Latency of 120ms which it’s almost no delay of response. 12. 120° wide viewing angle. Open transmission distance up to 120m. Price: Unfortunately a two camera unit, with all of the aforementioned benefits, is going to cost you around $300, but if you are driving around an RV, chances are, that this could fit into your budget. Keep in mind the investment is an investment in protecting your vehicle and your family. Not perfect: There have been reports of faulty products, which needed some extra work to get up and running, but this is pretty standard for automotive electronics. Some, are simply going to have the odd problem. The vast majority of customers have received a well working product. Installation: Because this is a wired backup camera for Rv traveling you are going to need to run a lot of wiring. If you really prefer the wireless option then you should checkout the shift trailer hitch rear view camera.